12-10-18. During the night of October 11th- 12th the 4th Canadian Infantry Brigade was relieved by a Brigade of the 51st Division, the 6th Gordons relieving the 21st Canadian Battalion. Relief was complete at 0245 hours and the Battalion proceeded to billets in ESCAUDOEUVRES, with Headquarters at T.25.a.10.25. Our casualties during the advance of the day were: Officers, killed,3; died of wounds,1; wounded,6; wounded at duty,2; Gassed,1; Other Ranks, killed,39; wounded 272; Missing,2. Perhaps Barnhardt was one of the two missing men. He was transferred to the 22nd Casualty Clearing Station on October 17th and died of his wounds on October 21st at the 33rd Casualty Clearing Station. He was buried at the Bucqoy Road Cemetery in Ficheux. 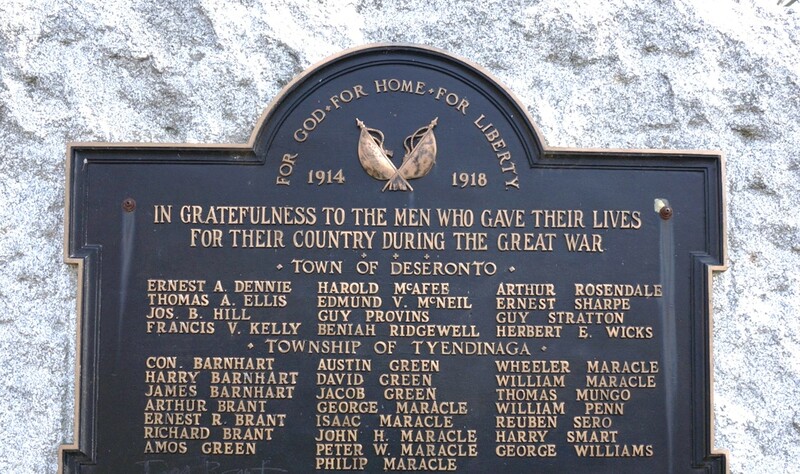 Harry is remembered on the Deseronto war memorial. He was the only conscript in our memorial project who was killed in action. 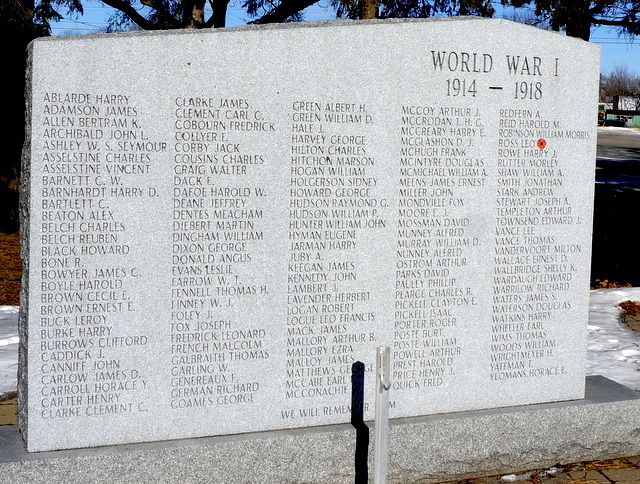 He is also named on the Belleville war memorial.